Why? Customers demand more relevant content, and have more distractions and shorter attention spans than ever. 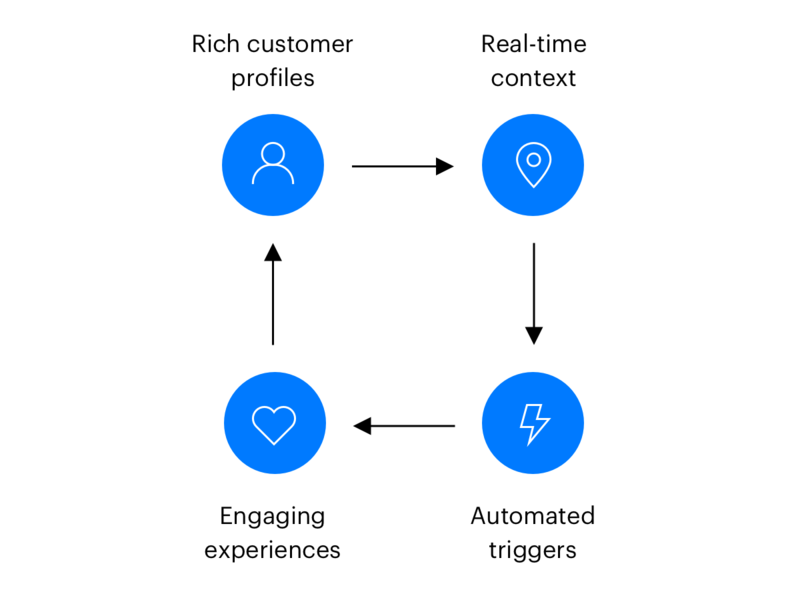 Moreover, new tools and technology improvements mean that marketers have access to additional real-time customer context, including location and in-app behavior. As our friends at Leanplum point out, the model for effective digital marketing is shifting. Historically, marketers target a segment of users, then batch and send messages. For example, I might purchase third-party data to target "coffee drinkers" or "frequent Starbucks visitors," then batch and send a message manually. Today, the leading digital marketers are collecting first-party context and behavioral data, building rich customer profiles, and running automated, real-time, contextual campaigns. Instead of targeting "frequent Starbucks visitors," I can trigger a message the moment a customer visits a Starbucks. And I can build a deep understanding of my customers over time. The result? More relevant, personalized experiences for customers, and more engaging, successful campaigns for marketers. Radar is a modern, open, flexible platform that seamlessly integrates with all of these tools. The bar has been raised. Are you ready? If you're interested in learning how modern apps drive results with real-time location context, drop us a line!